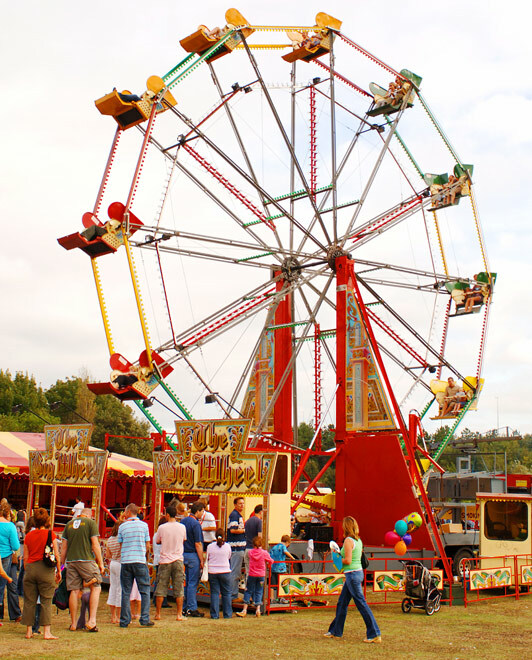 This impressive Big Wheel ride is 42ft high covering a ground area of 30ft x 30ft. It has 12 cars each holding 2 or 3 people, and has three speeds making it suitable for either adults or children. Other fairground rides are also available. Please just ask! "I just wanted to say a huge thank you for your outstanding contribution to the enormously successful family fun day. The event was a great success and that was thanks in no small part to you both. We gad unprecedented attendance figures and all forms of entertainment provided by ACF were of the utmost quality and of course fun!! I will not hesitate to recommend ACF to my colleagues and clients in the future and I very much look forward to working with you again."